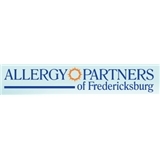 Allergy Partners of Fredericksburg (Stafford) - Book Appointment Online! Allergy Partners physicians of Fredericksburg are trained in the diagnosis, treatment, and management of asthma and allergic diseases. Dr. Mark Wenger will obtain a detailed history, perform a physical exam, and determine the best personalized and comprehensive treatment plan for you. Dr. Wenger provides his patients with the highest quality, evidence based, and cost effective allergy and asthma care possible. I was very impressed with the amount of time Dr. Wenger spent with me, explaining everything about immunology! I have never had another allergist that did that. I truly feel that he wants to help me get on the road to leaving my allergies behind:-)!